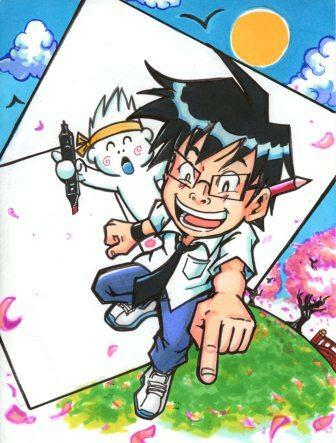 Graph It Markers UK are proud to be Sponsoring the Manga Alley Art Competition at this year’s MCM Expo at London’s Excel Centre 24th -26th October 2014. The Theme for this year’s Manga Alley Art Competition is Manga/Comic Freestyle (basically you can create your favourite character in your own style.) and there are £500 worth of Graph It Marker prizes up for grabs !! There will be 3 categories for entries under 11 years rising stars, under 18 years old and over 18 years old. We will accept both pre-made and Alley made entires into the competition. All entires must obtain an authorised entry sticker from the Graph It Stand (Stand 581) and fully complete their contact details. On our stand No. 581 we will also be featuring amazing offers on the Graph‘it Marker range as well as many other colouring and supporting products. There will be three age categories; Under 11 years, Under 18 and Over 18 years. Unfortunately, your artwork cannot be returned. If you are entering a pre-made piece of artwork, you will need to fill out an entry sticker (with name,address etc..), available from the Graph’it Marker stand and fix it to the back of your artwork before handing it in at the stand. All show entries to the competition must be completed on the A4 sized paper, available from the Graph’It Marker stand. You will also need to fill out a sticker (with name, address etc..), and fix it to the back of your work. The draw will take place within 21 days after the competition end date. All prize winners will be contacted using the details provided – so please write clearly, or ask someone to write your details on your behalf. Please allow 28 days for delivery of prizes. 1. Entry into the competition is deemed acceptance of these terms and conditions. The Promoter reserves the right to amend these rules at any time. 2. To enter a competition you must be a valid MCM EXPO ticket holder at the time of entry. 5a. One entry per person only is permitted into the lucky show draw. 5b. Multiple (non-duplicated) entries are acceptable within the drawing competition. 6. Incorrect, duplicated or incomplete information will automatically disqualify the entrant. 7. The closing date is as specified in each competition, and The Promoter reserves the right to amend the competition end date at any time. 8a. The lucky draw prize is a gift pack displayed on the Graph’it Marker exhibition stand. 8b. The drawing competition prize is as specified in the competition details. 9. Entry to both The Lucky Draw and the Drawing competition is on the Graph It Marker stand. 10. To submit a complete and valid entry, entrants will be required to provide various personal details including full name, email address and residential address, for the purpose of winner notification. In the case of the drawing competition, the entry must also use the competition theme as specified in the competition details. Un-themed entries will automatically be disqualified. 11a. Lucky Draw: If you win a competition, we will notify you by e-mail. The judges’ decision will be final, and no correspondence will be entered into. 11.b. Drawing Competition: Each entry will be individually judged according to its merits on the basis of skill, originality and creativity as determined by the Promoter in their sole discretion. The Promoter’s decision is final and no correspondence will be entered into. 12. Sending an e-mail is not proof that we have received your entry. No responsibility can be accepted for entries that are lost or delayed, or which are not received for any reason. 13. The winner will be drawn/selected within 21 days after the competition end date, and contacted within 7 days by email. 14. The Promoter will make all reasonable effort to contact the winner. If the prize is unclaimed within 14 days from the notification, the winner will forfeit the prize. In the case of a lucky draw, if the prize is unclaimed within 14 days from the notification, an unclaimed prize draw will be held. The original winner will forfeit the prize and the winner of the unclaimed prize draw will be notified by email within 7 days of the draw. 15. The winner’s name may be announced publicly through any/all of Graph’it Marker Twitter and Facebook networks, including https://premiumartbrands.com as the Distributor. 16. The Promoter will endeavour to send prizes within a month of the competition end date but cannot guarantee this delivery time. 17. The prize will be delivered to the winner by Royal Mail / Courier. 18. The Promoter will make all reasonable effort to deliver prizes to the addresses provided by competition entrants. The Promoter cannot guarantee that any prizes returned to the Promoter due to non-delivery at the provided address will be re-sent to the prize winner. 19. The Promoter does not take any responsibility for parcels which are lost or stolen. 20. All entries and any copyright subsisting in the entries become and remain the property of the Promoter who may publish any of the entries received. 21. The prizes are as stated and are non-transferable or exchangeable. No cash alternatives will be offered. If, due to circumstances beyond the Promoter's control, the Promoter is unable to provide the stated prize, the Promoter reserves the right to award an alternative prize of equal or greater value. 22. Privacy statement: We will only use and store your personal information for the purposes disclosed to you. You can unsubscribe from receiving marketing material from us at any time.